Many start up companies, looking for a professional website designing service prefer Webbazaar as it has bagged one of the prestigious awards which is Amazon- siliconindia award for the Best Start up 2009 in the Internet Category. The number of awards which it has achieved in a short span of time proves the level of customer satisfaction and the dedication of Webbazaar towards their clients. Webbazaar is planning to provide improvised services to the client so that it can win the trust of the customers completely and add more awards to their kitty. Web bazaar began in 2008 with a motive to help numerous small and nearby business visionaries in India to get into the digital platform to interface with the substantial number of customers. Web bazaar contained proficient experts who give right solutions.We concentrate on three vital factors, for example, to build a product which is used easily, give solution for the client requirement and to give the platform to learning.Web bazaar gives services to improve the site utilizing SMM, SEO methods. The wealth of web development tools accessible can make the way toward choosing one a touch of overpowering. At last, it boils down to individual inclination and what fits your necessities. Fundamentally, you require an approach to make your code and after that review, test, and troubleshoot it. You may likewise require forte apparatuses relying upon the task. There are also uninhibitedly accessible systems that give the establishment to your own particular application; these structures use the most recent procedures for full-highlighted web applications. 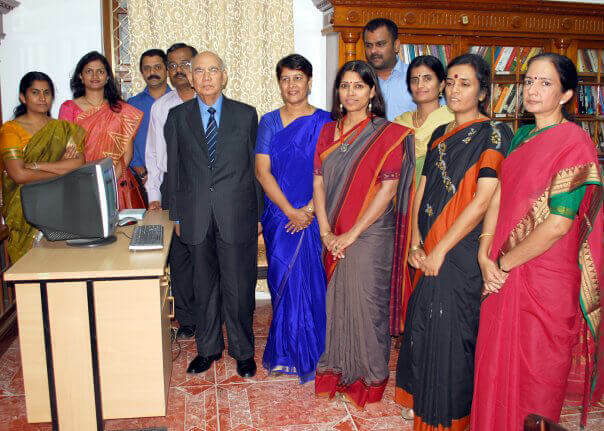 Web Bazaar, which helps small businesses to get online, bagged Amazon- siliconindia award for the Best Start up 2009 in the Internet Category. Many Start ups participated and the performances were evaluated by expert panels of judges comprised of highly experienced venture capitalists (VCs) and well established entrepreneurs. 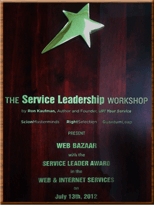 Web Bazaar won the "Service Leader" award in the Web & Internet category. The award was given to us by the legendary Mr. Ron Kaufman who has spent 2 decades "Uplifting Service" for many fortune 500 companies. We are extremely proud and excited to have been hand picked for this prestigious award.